CAMERA’s Israel office today prompted Haaretz English edition corrections of erroneous references to Tel Aviv as Israel’s capital. An Oct. 6 article (“Moscow Mediating Between Israel and Iran After S-300 Delivery, Report Says“), which also appeared in today in print on page 3, had erroneously referred to Tel Aviv as the capital of Israel, using the common journalistic practice of citing a nation’s capital city as shorthand for the country’s government. 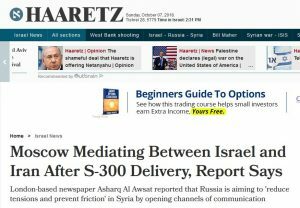 In response to communication from CAMERA, Haaretz editors commendably amended the digital headline and article, removing the erroneous references to Tel Aviv. 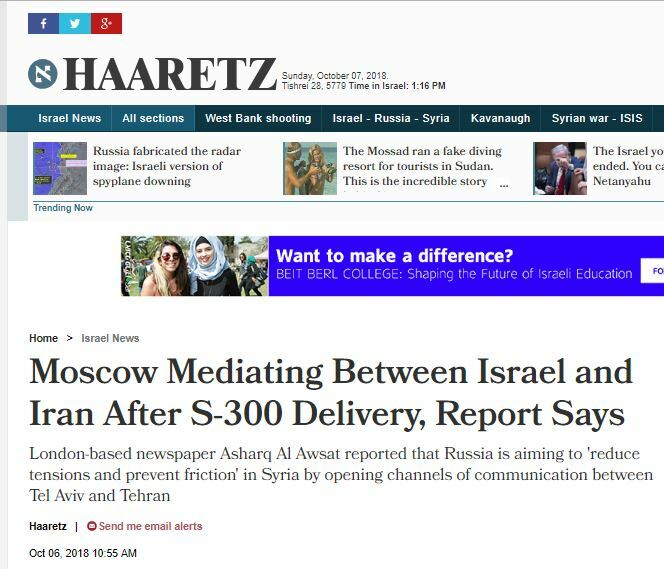 The online headline now accurately reports: “London-based newspaper Asharq Al Awsat reported that Russia is aiming to ‘reduce tensions and prevent friction’ in Syria by opening channels of communication.” In addition, the article itself now refers to “open communication between Israel and Iran,” instead of “Tel Aviv and Tehran.” Contrary to standard journalistic practice, Haaretz did not append a note alerting readers to the changes. 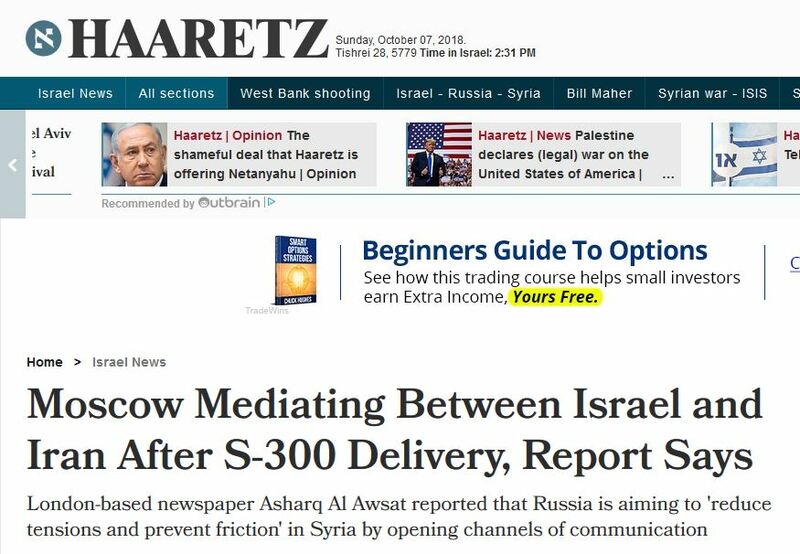 With this correction of the shorthand of Tel Aviv to refer to Israel, Haaretz joins a host of international media outlets which have likewise corrected the identical error, such as The Los Angeles Times, The Independent, and Reuters, among many others.